Years ago, my mom, Collene Spencer told me about witnessing a plane crash as a little girl. I wish I had thought to get more information from her then, but at the time, all I could think of was the vision of the crash she told me about, and specifically the airplane in a corkscrew nosedive toward the ground. She said she didn’t hear any engine sounds, and she thought the plane was a piece of paper at first, but then she realized that it was a plane. I didn’t think to ask where she was at the time…whether she was at home or if the family was rock hunting or something. I wish I had asked more questions, back when I had the chance to do so. Rather than asking questions, I began to try to research plane crashes in the area over the years of my mom’s childhood. I had expected it to be an easy search, given all the information on crashes that is out there these days. 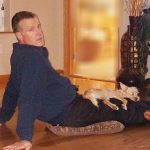 I was wrong, and by the time I decided that I needed more information from my mom, she was gone. I tried asking my aunts about the crash, but they did not remember it. It’s possible that they didn’t see it, and so they were unable to help me with it. After much research, I have found possibly the only plane crash my mother could have seen at the age she would have had to be…provided she was close to her childhood home when she witnessed the crash. 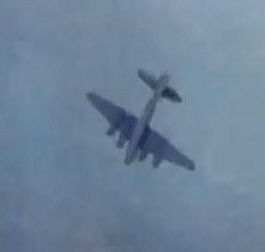 The crash would have been a B-17 bomber on a training maneuver 25 miles north of Casper, Wyoming. The biggest problem with this crash is the 25 mile distance from Casper, but looking north from Casper, you can see a very long way, provided you are near the events center, which could have been a possibility back then. The distance could also explain the lack of engine noise, if the engines were still working as the plane was going down, which is unlikely. The plane, which crashed on March 3, 1944 was carrying three officers and five enlisted men. There were no survivors in the crash, which is in line with what my mother told me about the crash. The bomber was on a combat training flight, according to Lieutenant Colonel Marcus A. Mullen, station commandant, who said that the cause of the crash was not yet determined but that a board of officers had been named to investigate. The dead were later identified as Captain Charles W. Bley of Berkeley, California, Second Lieutenant Eugene E. Ravera of Newton, New Jersey, Second Lieutenant John A. Williams of Morristown, Tennessee, Staff Sergeant Carl E. Cleveland of Sunbury, Ohio, Sergeant George P. Peterson of Perry, Ohio, Sergeant Vernon E. Arne, Stewart, Illinois, Sergeant Duane T. Zefah of Cushing, Minnesota, and Corporal Elmer L. Walters of Pawpaw, Illinois. I can’t say, for sure, that this was the plane crash my mom saw when she was a little girl, but it is noteworthy, and so worth telling about. I know that the crash was something that my mom never forgot, even though she would have only been eight years old at the time. 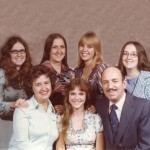 My mother-in-law, Joann Schulenberg, was all about family. She spent her married life as a stay-at-home mom, but that did not mean that she didn’t work. Taking care of six children is simply no picnic. Between cooking meals for everyone, cleaning, canning food, sewing clothes, and knitting things for them, she was a pretty busy lady. My mother-in-law was always the most comfortable raising her children in the country. She felt like it was too much out of her control in town. She worried about the traffic, and the people around, and about the kids running off while playing. She just needed the control of the country to give her peace of mind. 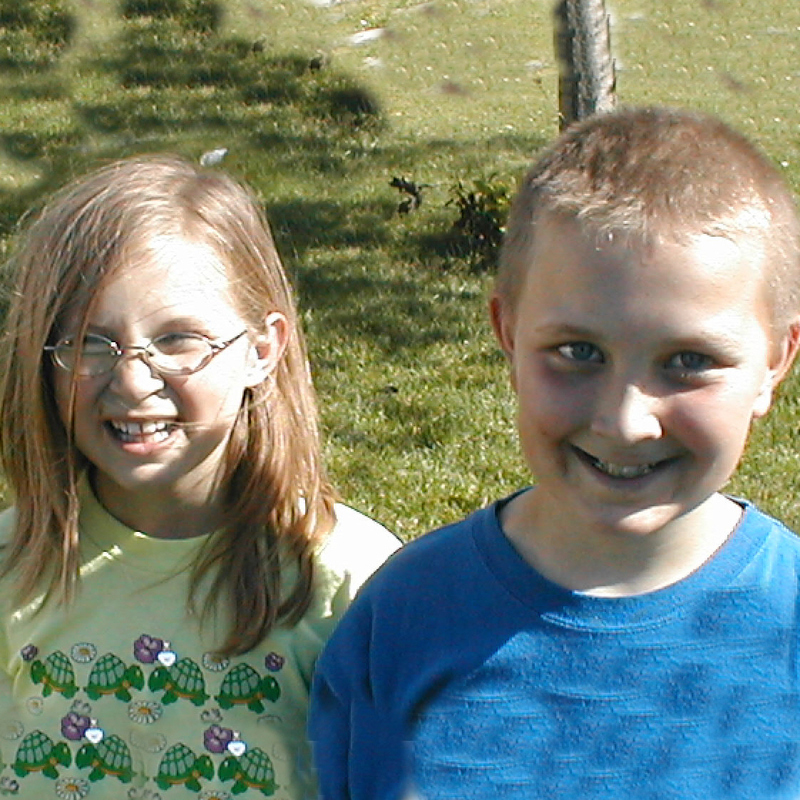 So the family lived in the country for most of the years that the kids were growing up. 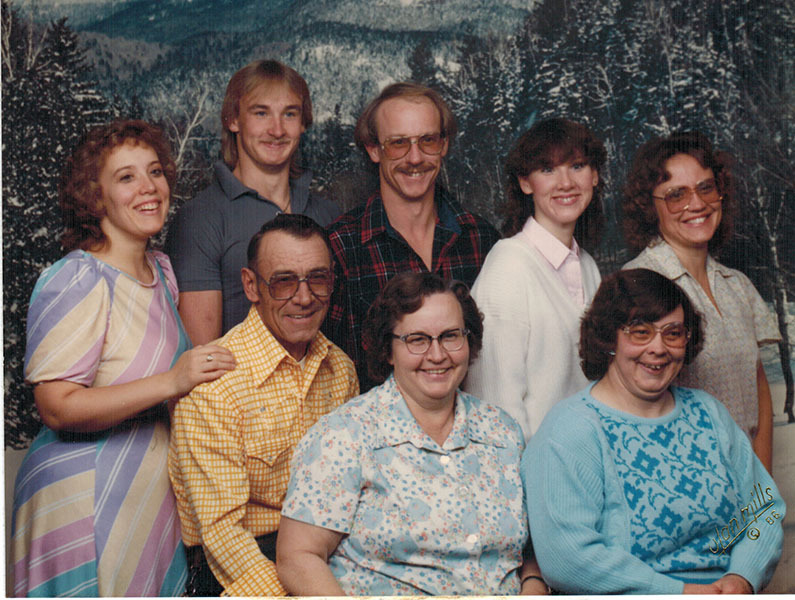 It wasn’t until 1989 that the family, now of just three at home, moved into Casper to stay. It’s funny that Joann, who had always hated the traffic, the noise, and the activity of city life, suddenly loved to watch the cars go by on the busy street on which they lived. She liked not having to go so far into town for groceries and such. She liked having visitors come by, because suddenly it wasn’t too far for them to go. Like me, she discovered the convenience of city life. Those long drives into town were the first thing I found my self happy to do without. I’m sure my mother-in-law did too…especially on the icy winter roads around here. 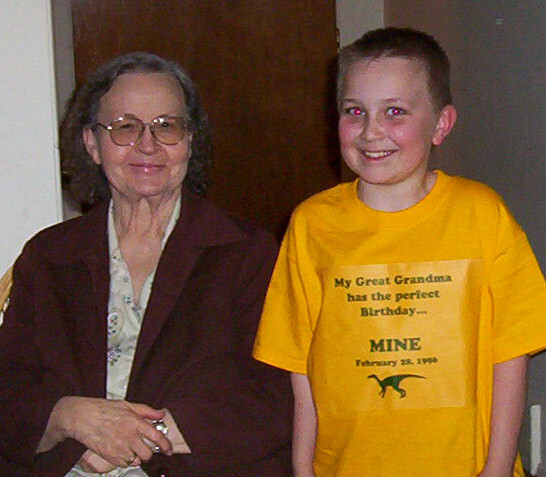 By 1996, my mother-in-law became a great grandmother for the first two times. She got a great birthday present in her first great grandchild, Christopher Petersen, who made his grand entrance on her 65th birthday. It was a treat that she had wanted since her mother was also privileged to receive, and never thought she would get. Then the very next day, she god something else she never thought she would get…a Leap Day Great Grandbaby…Shai Royce. Needless to say we were quite busy those two days. She has gone on to have 11 grandchildren, 13 great grandchildren, and 1 great great granddaughter. Her family has sure grown, and while she has never met her great great granddaughter, I know she would love her as much as we all do. She found out about her just days before her passing, and she was very excited about it. I was glad she got to know, because family was always very important to her. 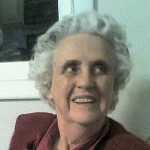 Today would have been my mother-in-law’s 88th birthday. Happy birthday in Heaven Mom. We love and miss you very much. My uncle, Bill Beadle spent much of his working life in the pipe yards. Later, he owned his own rathole drilling business with his sons, Forrest and Steve by his side. 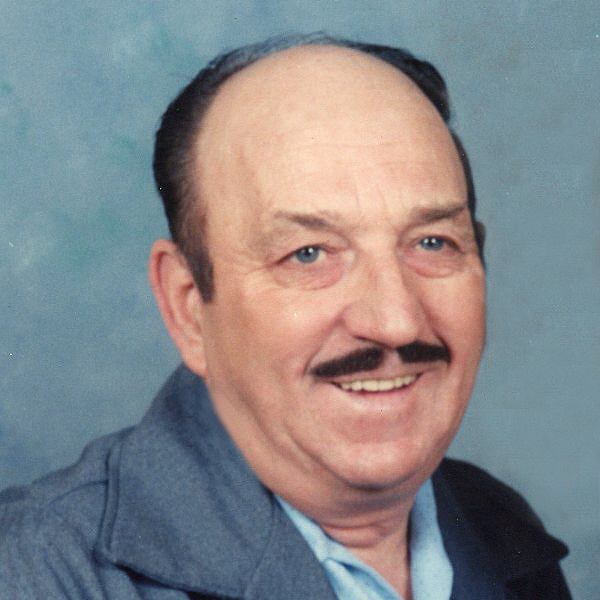 While Uncle Bill was a great machinist and general all around mechanic, he really loved fishing and bird hunting in the Worland area with his son, Steve. I’m sure that was also why Uncle Bill was content, in his later years to be living with Steve, his wife, Wanda, and their family. I can imagine they spent a lot pf time talking about their fishing trips, and walking the fields hunting for Pheasant and Chukars. Uncle Bill liked hunting them, because it was so exciting to walk the fields waiting for that unexpected bird to fly up out of nowhere. The hunter had just seconds to respond, and would be successful, only if he was a great hunter. Uncle Bill always felt an obligation to try to keep the nephews on the right track, and if they had problems, or it looked like they were heading in the wrong direction, he was sit down with them and after talking to them a while, he could have them turned around and back in line. 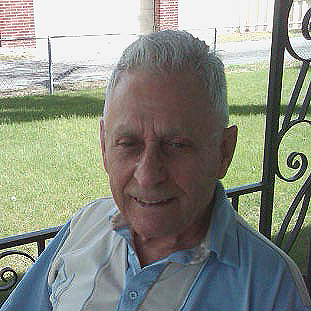 It was this aspect of Uncle Bill’s personality that endeared him to my cousin, Elmer. Uncle Bill, like many men enjoyed his pipe, for quite a few years, and his chew. That prompted Forrest and Elmer to think that chew was very cool. They got into a big block of chew when they were kids, and didn’t know not to swallow it. So when they were chewing it, they swallowed it, causing them both to turn about three shades of green. While the memory of it makes Elmer cringe, he had no desire to chew tobacco. Uncle Bill was a great guy. He always had a way of making the kids laugh. There was always a mischievous twinkle in his eye, and plenty of mischief behind his smile. He loved to tease the kids, and all the kids loved it. Then he would laugh with his infectious laugh, and we all had a thoroughly great time. Uncle Bill was really not serious very much, at least not around most kids. That just wasn’t in his nature, at least not unless the kid was headed for trouble. Then the mood changed right away. He wasn’t mean, just matter of fact, and when all was said and done, the kid knew the right way to go. Uncle Bill was an interesting character, and we loved him. Today would have been Uncle Bill’s 90th birthday. 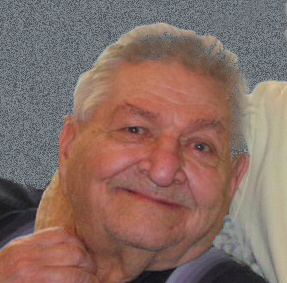 Happy birthday in Heaven, Uncle Bill. We love and miss you very much. My niece, Toni Chase has been going through some big changes this year, and that can be hard on people. 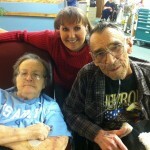 These were changes that affected Toni; her husband, Dave; and son, James; but especially Toni. James is grown up now, and really isn’t home much, so for Toni, empty nest syndrome has a very real thing…and not one that she is sure she likes very much. In addition, her dog, Bones, who was pretty old, died and that left Toni feeling even more lonely. 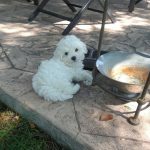 Dave had always had Bichon dogs, and so Toni talked him into getting one. 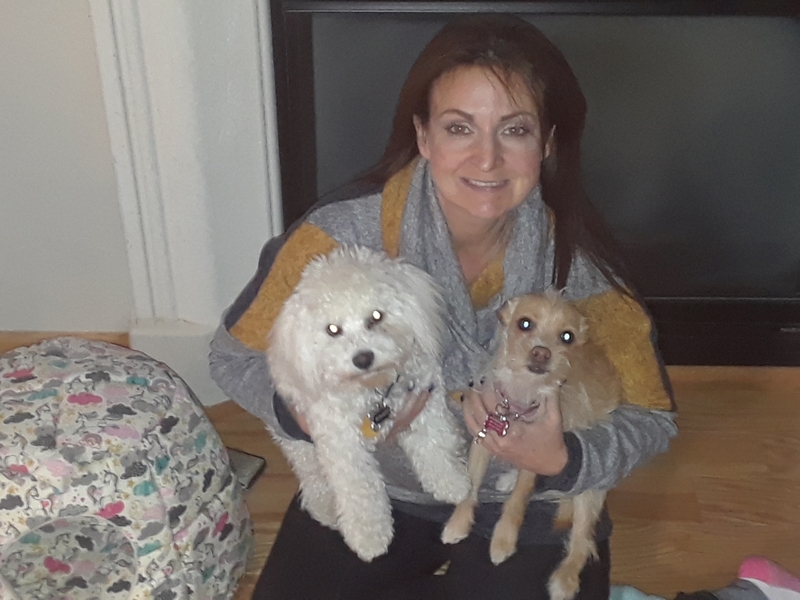 Biscuit soon joined the family, and Toni loves her puppy baby very much, but before long she realized that Biscuit was lonely too, even when she quit her job, and started another one with more flexible hours, so she could be home more. The problem is that James isn’t a little boy anymore, and with her and Dave working, and James busy with his own life, Biscuit was still home alone half of every day. Toni began to talk to Dave about adopting a dog, which has been something Toni had been thinking about a lot. Dave was not keen on the idea, and in reality, completely unwilling to discuss it. Nevertheless, Dave loves Toni, and wants her to be happy, so when she pursued it, he let her begin the process. And a process it really was. Toni had been looking at rescue dogs for about a month after getting Biscuit, but couldn’t find any in our local area that were young and smaller. 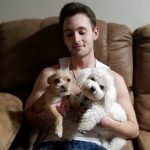 To make matters worse, for any surrounding areas, such as Colorado Montana or South Dakota, you had to fill out an application send references and pictures of your house each and every time you saw a dog would become available that you would be interested in. Toni filled out 37 applications and only got two responses back. One response said that her application was in the top two, but they had picked another family based on the location. 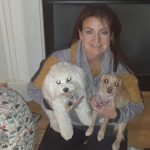 The same lady that turned them down, suggested that they try the iRescue website, out of Boulder Colorado, so Toni went on their site and picked several different small young dogs that she would be interested in adopting…again filling out an application for each one, sending pictures of her house, and references for each one. She was a bit stunned when she got a call on one of the dogs they had available. However, it wasn’t a dog that she had shown interest in. 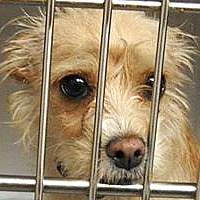 The dog that she suggested would be a good fit for their family was a Carne Terrier mix female named Flower. It took only one look for Toni to fall in love, but she still had to talk Dave into wanting her too. Just the night before, Dave had told her to quit looking at rescue dogs, because they weren’t getting another dog. 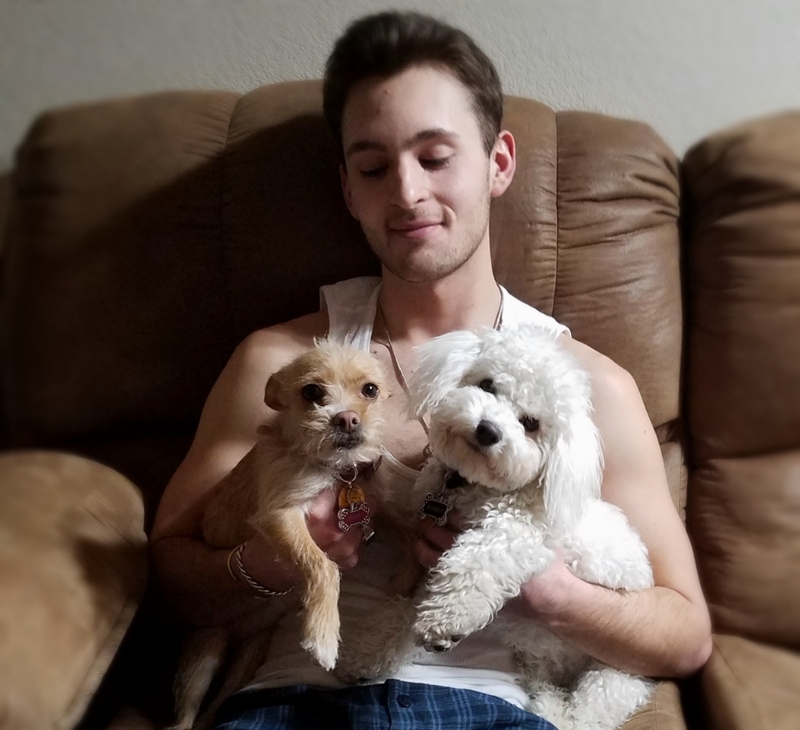 Toni couldn’t get Flower off of her mind, so she downloaded the pathetic little pictures of Flower that were taken when she was captured and being held in a high kill shelter in New Mexico. Toni decided to try a different strategy. 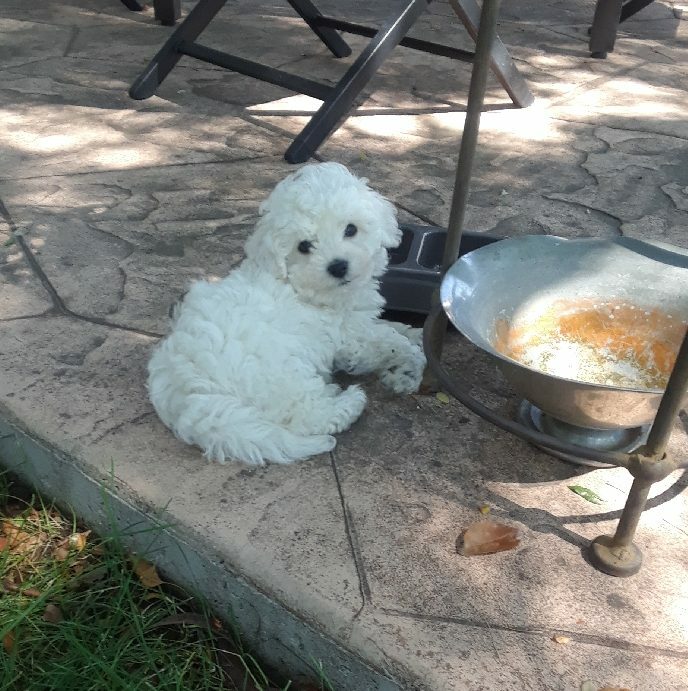 She sent Dave an email, including the pictures of this poor little dog. She told Dave that she was the number one pick of 37 applicants to rescue this dog who was due to be put down in 48 hours. She explained that they would have to pick her up in Boulder that Saturday…if Dave was agreeable to adopting her, and that in order to adopt her they had to sign a commitment agreement by 5:00 that evening and send the funds within 24 hours of signing the commitment agreement before they would ship her from New Mexico to Boulder. She also explained to him they were little Flower’s last hope. Toni had planned to give Dave some time, and talk to him at 4:30 to try to persuade him, but Dave responded back with a phone call in less than 5 minutes, saying, “Do you like her?” Toni said, “Yes, and he said okay call her back and tell her that we will come and get her.” He would wire the funds right away. Flower would become Cricket, and she would become theirs. These puppy babies brought nothing but joy to Toni, Dave, and James. And on a side note, James has been spending a bit more time at home too, easing the empty nest syndrome Toni has had. 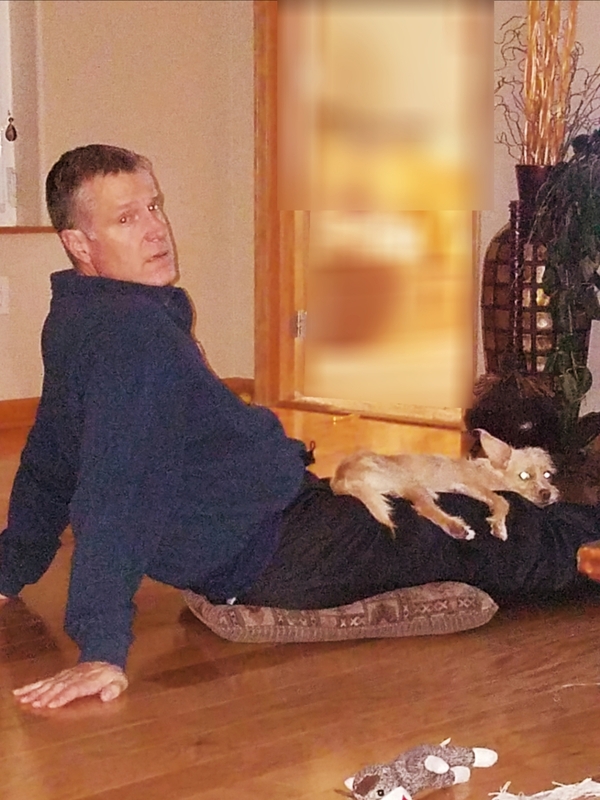 Funny thing, Dave didn’t want any more dogs…not Biscuit or Cricket at first, but now he loves them just as much as Toni does, and in fact Cricket has turned out to be his sweet little dog, but Toni gets to share, I guess. Today is Toni’s birthday. Happy birthday Toni!! Have a great day!! We love you!! It’s always strange to look back and realize that a loved one has been in Heaven for a year. The subsequent years aren’t as shocking, at least until your reach the milestones like 5, 10, or more. That strange realization is where I find myself today, the one year anniversary on my mother-in-law, Joann Schulenberg’s passing. Over the years, much changed with my mother-in-law. She was, from the time I first met her, a stubborn woman, and I suppose that many people might take that to mean annoying, but she wasn’t. People might disagree with me, but in my opinion, the type of stubbornness that she had is a good form, because it is more of an “if at first you don’t succeed, try, try again” type of stubbornness. In fact, she and I are probably very much alike in our stubbornness, and quite possibly, that is part of the reason we always got along so well. She was a wonderful mother-in-law. My mother-in-law taught herself to master many types of crafts, including quilting, crocheting, knitting, sewing, and canning. These things served her family well over the years. Her crafts proving them with things they needed, and she made money on them too. 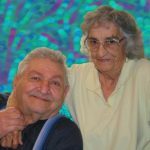 As Alzheimer’s began to rob her of much of her recent memory, she became more confused, but I believe that she and we handled it well. She became quite funny. Never one to joke much, she suddenly had a kind of dry humor that I can really relate to. She would surprise me with her quick comebacks, at a time that I thought she didn’t know what was going on, or who I was. Fooled me every time!! Whether she knew she had fooled me, somehow did it on purpose, or simply stated a fact as she saw it at that moment, it was always funny. In all of the 11 years that I took care of her, my mother-in-law was really a joy to be around, even when she fought with me periodically. The time I spent taking care of her was as rewarding as the time I spent taking care of the rest of the parents. End of life care is really what you make of it. The person is always so grateful to you for your help, and there is a bond with them that will forever change them both. You can’t spent that many hours with your mother-in-law, and not feel a closeness to her. She told me about things in the past, and really enriched my understanding of my husband’s genealogy. She may not have even realized the impact that our conversations had on me, but they were like pure gold. Priceless, and a gift that I will cherish forever. Joann Knox Schulenberg lived a very interesting life, and one that was very different from my own. 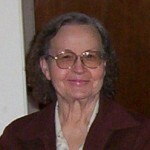 She was the mother of my husband, Bob, and the way she raised her children, enriched my life too. She taught them to be loyal, hard working people, who had self esteem and were respectful to others. She taught them to be kind and helpful to those in need. 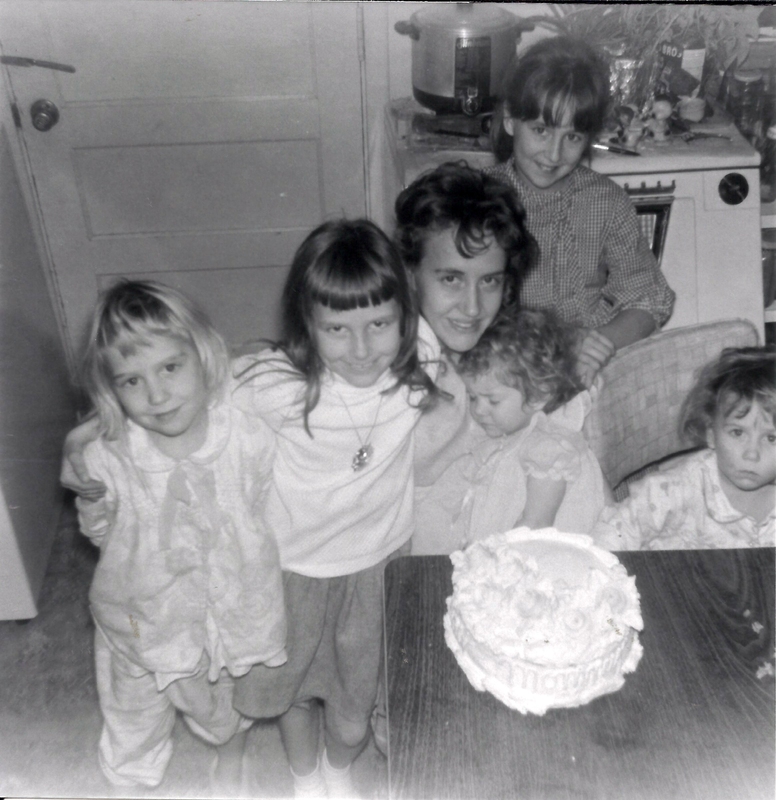 She raised her family to be close friends, and to share their talents for the good of all. They have always worked together on things. What more could a daughter-in-law ask of her mother-in-law? 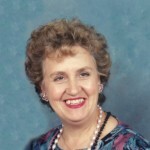 Mom, most of all, you were a true friend to me, and I miss you very much. I can’t believe that it has already been a year since you left us. Not everyone can start their new age on the same day as the new year, but my mom, Collene Spencer always could, because she was a New Years Baby. Growing up, it was always normal for our family to have a New Year’s Eve Party. 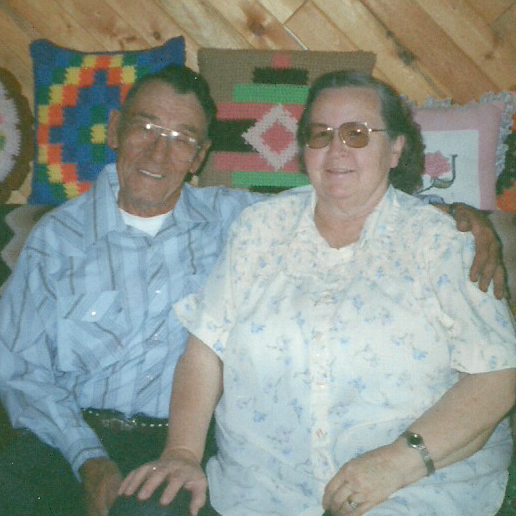 Our dad, Al Spencer was a romantic…at least when it came to Mom. 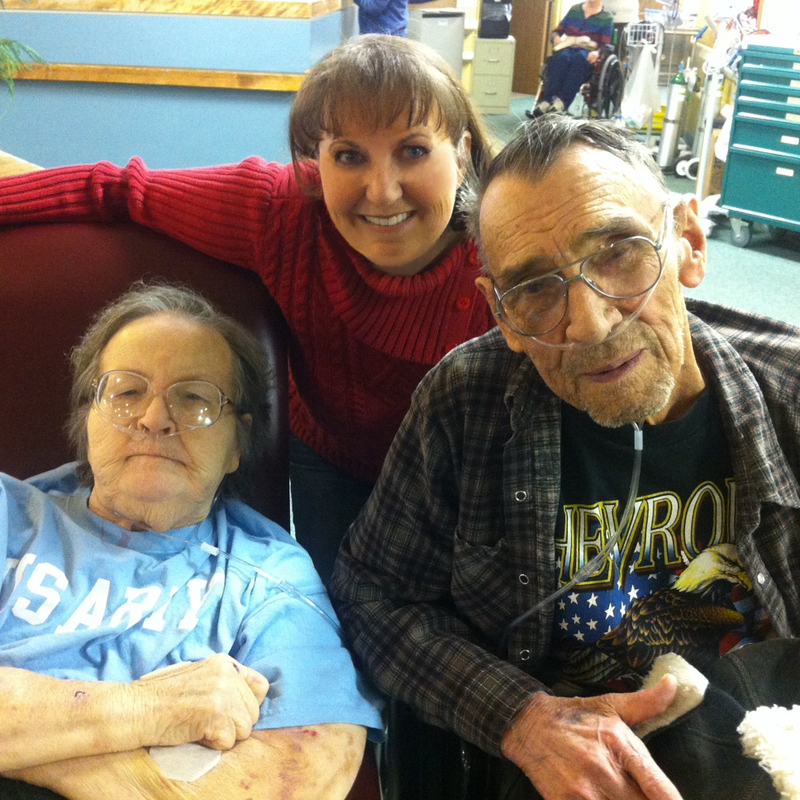 He loved doing things for her, and never really needed any help…not even from his girls, but he did let us help. While being a New Year’s Baby was Mom’s first claim to fame, it was not the thing most people would remember her for. I think that when asked, most people who knew my mom would have to comment on her never-ending love of God. 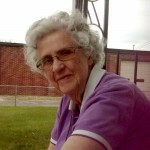 Not only did she love God, but she wanted to share him with anyone who would listen. 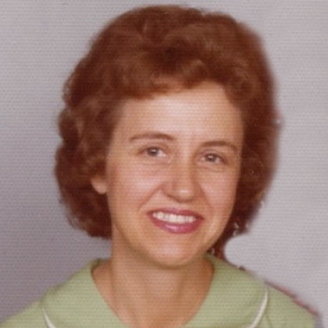 Mom wanted every person she knew to be in Heaven when they died. She couldn’t bear the thought that the people she knew and loved would spend eternity in Hell. Of course, not everyone understood Mom’s drive, especially her own girls. We all wanted her not to be so “pushy” when it came to spreading the Gospel. Talking to many people after her passing, we can now see that Mom made an impact. She really did. We were the ones who had no idea what we were doing, at least not when it came to spreading the Gospel to people who were genuinely searching for a way to fill the hole in their lives. Mom has an eye for that, where most people don’t. Mom was always a great mother, who really wanted nothing more than to be a stay at home mom, but when needs arose, she would never leave her precious “Al” to carry that extra load alone. Dad sometimes worked long hours to make ends meet, and when we were young girls, daycare would have cost a lot of money. Then when we were old enough, Mom went to work at Kmart. Mom could run circles around anyone at the store. We would walk over to take breaks with Mom, and we couldn’t keep up with her either. 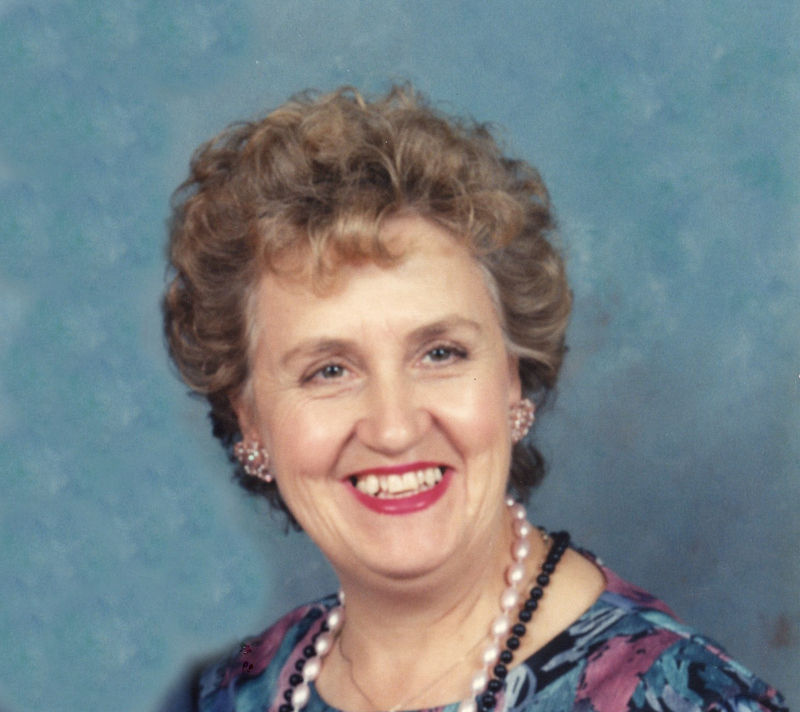 Mom was an amazing woman who always live her life being true to herself, her family, and most of all to her God. Today would have been Mom’s 83rd birthday. 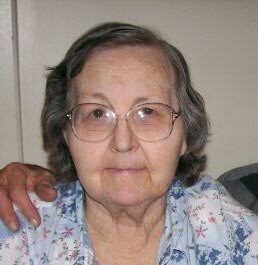 Happy birthday in Heaven, Mom. Have an amazing day with all the family who are there, and with Jesus!! We love and miss you every day!! Two days ago, I wrote a story in celebration of my Uncle George Wave Hushman’s 92nd birthday. Little did I now that it would also be the day of his home-going, but it was. It is a rather rare thing, except in infant deaths, for someone to be born and die on the same day, but that is what my Uncle George did. 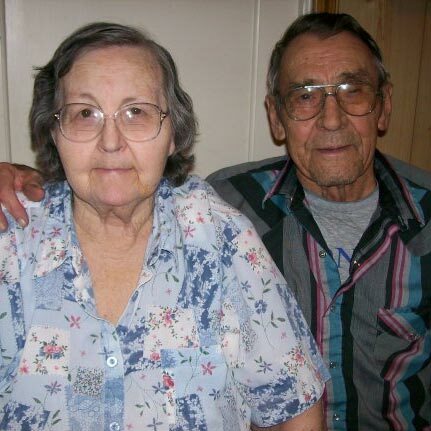 He was born on December 20, 1926 in Rock River, Wyoming, and went home to Heaven on December 20, 2018 in Mills, Wyoming…exactly 92 years later. Uncle George led an unusual life, so I guess I shouldn’t be surprised that his home-going would be just as unusual. He lost his mother when he was just eleven years old. I’m not sure how long after her passing, before he was sent to the Wyoming State Children’s Home in Casper, Wyoming, but during those years, his guardian was listed as Ethel S. Kittle. Uncle George didn’t know much about his family for most of his life, but his dad, also named George Wave Hushman was in the Navy, stationed in the Philippines when he was killed in action on November 21, 1943…Uncle George was just 17 years old. To his knowledge, that left him very much alone in this world, except for his friend James Wesley Saint John ‘Wes” and Wes’ family, who had unofficially adopted him as a part of their family. Wes, who was three years older than Uncle George was lost at sea on September 9, 1943. 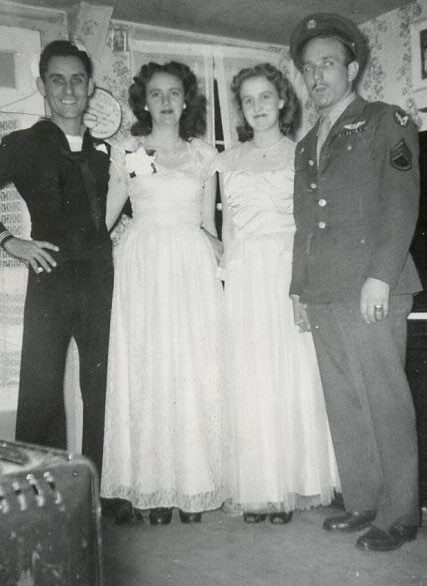 While Uncle George didn’t know his father well, he did know his friend, and I find it unusual that he enlisted in the Navy too, but he did. His Draft Card listed his next of kin as WE Saint John. 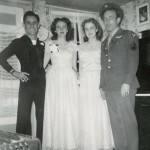 He mustered out on May 31, 1944, and was later listed among the wounded. I am grateful that he was one of those who made it home from the war. Uncle George, was first assigned to LCI(L) 23…Landing Craft Infantry (L)23. He later mustered out on USS Gurke (DD-783), a Gearing-class destroyer. 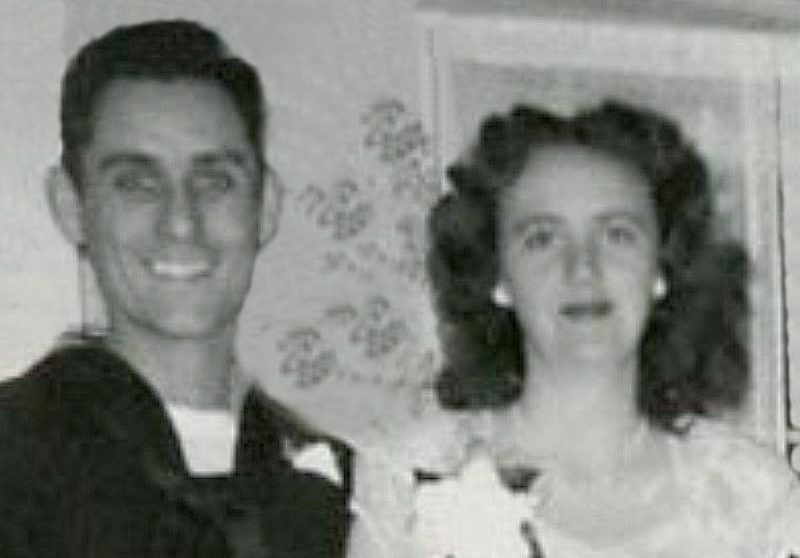 By 1946, Uncle George was released from the Navy, and was living in Mills, Wyoming, and falling in love with my aunt, Evelyn Byer, whom he married on September 1, 1947. He had found the love of his life, and he only wanted to be with her for the rest of his life…missing her terribly after she passed away on May 4, 2015. Aunt Evelyn and Uncle George would be blessed with five children, George Hushman, Susie Young, Shelly Campbell, Shannon Limmer, and Greg Hushman. 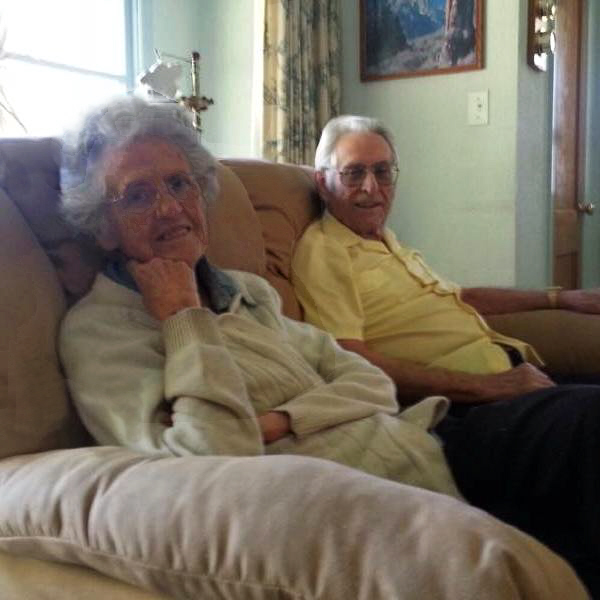 They were also blessed with many grandchildren, great grand children, and great great grandchildren. 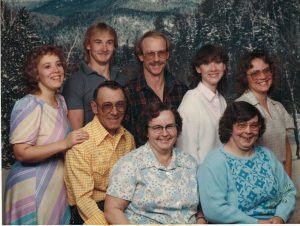 Uncle George was also blessed to be able to reunite with his half siblings over the years, although their passings brought him a feeling of losing them twice. 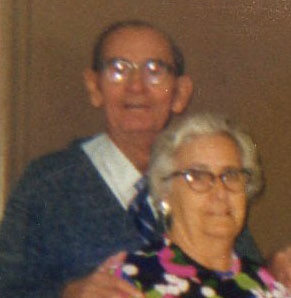 Now that they are together again in Heaven, Uncle George will never have to be away from his beloved Evelyn, or the other loved ones who had gone before him. Rest in peace Uncle George. We love and miss you very much. Time waits for no man, and it doesn’t slow down or stop while we grieve a loss. As a child and on into adulthood, it never occurred to me that I would live one single day without my dad. I can’t say why I thought that, because in retrospect, it was not really a logical way to think, but then are matters of the heart ever logical. It doesn’t matter if you are talking about romantic love or the love you have for parents or siblings. They should just never leave you, whether that is logical or not. Nevertheless, as illogical as it seemed to me, my dad, Al Spencer went home to be with the Lord eleven years ago today December 12, 2007 at precisely 12:00pm. The world seemed so empty when we left the hospital that day, and I found myself wondering how it could be that the world and time kept moving when everything for my dad stopped at that moment. Again these were not the thoughts of a person in a rational state of mind,but rather a person who had just lost a beloved parent. I knew that my dad was in Heaven,because he had always believed in Jesus as his Saviour, but he was no longer here with us…his wife, Collene Spencer; daughters, Cheryl Masterson, Caryn Schulenberg, Caryl Reed, Alena Stevens, and Ally Hadlock; and their families, and that was what made the whole world…just wrong. As the years go by…faster than any of us ever dreamed they would, we cherish the memories of our dad more and more,because they are all we have…because our dad and our mom are in our future now. My thoughts go back to the many times my girls, Corrie Petersen and Amy Royce and I had lunch at their house. It’s odd, I suppose that those lunches are what comes to mind, but they have been coming to my mind a lot these past few days. I remember going over to their house at lunch. Mom would make her specialties, Stuffed Tomatoes or Chicken salad with Shoe String Potatoes. As we gathered at the table to eat, the conversation covered everything from our families to how our jobs were going. 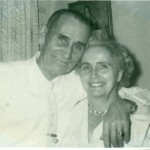 Mom and Dad didn’t care what we talked about, they just wanted to be a part of our lives. 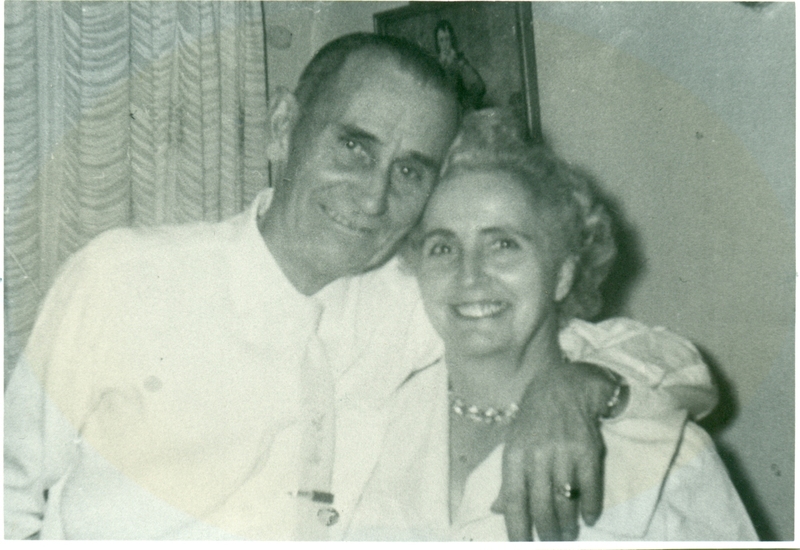 Mom and Dad were always all about family. 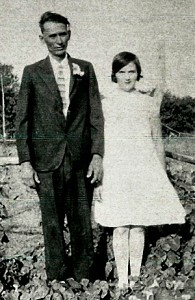 They loved their kids, grandkids, great grandkids, and great great grandkids. They felt so blessed by the family they started beginning back in 1954. Family was all they ever wanted. Family was everything. I still can’t believe that my dad has been in Heaven for eleven years today. We love you Dad, and miss you very much. 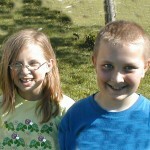 We will see you in Heaven one day. 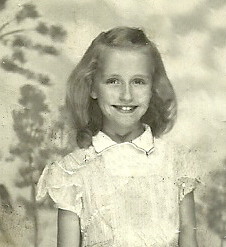 My mom always had quite a bit in common with her older sister, Evelyn Hushman. My mom was close to all her sisters, but she and Aunt Evelyn had things in common that she maybe didn’t with some of the other sisters. I think it’s possible that it was their husbands got along very well. 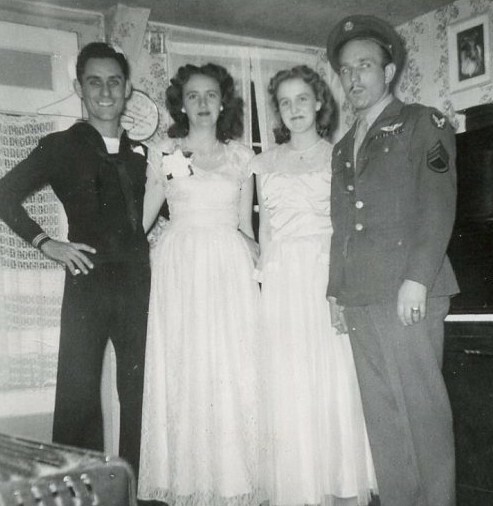 In fact, even before my mom was married, my parents, Al and Collene Spencer double dated with Aunt Evelyn, and her husband, my Uncle George. 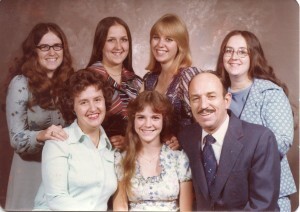 After both couples were married and had children, we all spent lots of time together. I remember growing up playing with the Hushman kids, and because they were all a little bit older than I was, they usually set the tone for the games. It didn’t matter, because it was always fun. Later, my parents bowled on the same team on Monday nights with Aunt Evelyn and Uncle George. They bowled together for a number of years, and then they decided to quit, with the exception of Aunt Evelyn, who bowled for many years after. In fact, when she was bowling with her daughters, I substituted on their team many times. I enjoyed bowling with them, because it kept our families close. As the years went by, they quit bowling too, and I began to see less and less of Aunt Evelyn. That made me sad. Everyone is so busy thee days, and before you know it, the ones you love have grown into their latter years, and you find yourself wondering where the time has gone. That was where I found myself with Aunt Evelyn, seeing her at the family Christmas party and the annual family picnic, and then not even at those. When Aunt Evelyn passed away on May 4, 2015, just a little over two months after my mom passed away, I found myself feeling very sad and lonely, because we had lost them both within such a short time, but I guess the sisters, who always had so much in common, were together again, and enjoying their new lives. Today would have been Aunt Evelyn’s 90th birthday. 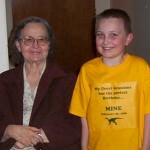 Happy birthday in Heaven Aunt Evelyn. We love and miss you very much.